Got to know about Smart City, but do you know what Extra Features Smart Cities will have? As we all know, the global population is increasing day by day. Due to that, majority people are moving to cities every single day. It is a prediction that world’s urban population will double by 2050. Currently in India, the urban population of India is 31% of the total population. Well, Indian government is looking to develop smart cities in India. Let’s have a look at the features of smart cities. Our honorable Prime Minister Narendra Modi has a dream project to develop 100 smart cities in India. The smart cities will have attractive features. Here, I have included some of the best features of smart cities. 1. Tele-Care – There will be better facility for patients in the hospitals. How? After smart cities, you don’t require medical consultations. There will be monitorization system for patients and it will keep the doctors up to date if something bad happens to their patients like raise in Blood Pressure or Sugar Levels. 2. Smart Grids – You will get adequate amount of electricity as per the demand. This way, the power effectiveness will be increased. It will save power consumption of unnecessary things as well. Isn’t it great? 3. Waste Management – We all are familiar with the garbage collection issues in our cities. Well, to get rid of it there will be smart containers and a proper fleet management system so the routes can be tailored in any circumstances. This kind of solution will solve the waste management problem. Please don’t throw waste anywhere! 4. Smart Urban Lighting – We often notice waste of electricity on many streets. How to save electricity? Well, the best feature of smart city is that the smart urban lighting will change the intensity of the light depending on the people available on the street. 5. Quick Transport System – This feature of smart city will help to public transporters to co-ordinate and provide information to each other very proficiently. Majority public transports are interconnected. They will be able to communicate more comfortably and quickly. 6. Traffic Management – This is the most common problem that everyone faces everyday! Well, traffic management is a must nowadays. The number of private vehicles is increasing day by day. One of the best features of smart cities is that monitoring road system will notify the drivers about the route which is best at any provided time. In addition, it will control the traffic lights automatically to decrease overcrowding of vehicles on the roads. 7. Smart Parking System – This is the issue that majority people face in their daily life. Well, there will be systems which will alert drivers when the free parking spot is available anywhere. You don’t have top waste your time to look for the parking place anymore. It will also reduce the pollution by decreasing the level of CO2 productions in your city. 8. Smart Taxi – This feature will help people to save their time looking for a cab on road. You just have to book a taxi with the help of application on your mobile and the taxi will arrive at your doorstep within 5 to 10 minutes. The localization system will inform you the nearest taxi available for you. There are many taxi services running nowadays in India such as Ola, Taxi For Sure, and Meru. 9. Quick Accident Relief – Sometimes it happens that we don’t get help of ambulance immediately. However, in case of accident or fault in your vehicle, you will get help in just one call. Moreover, you will also get help of CCTV camera. 10. Face Identification System - There will be face identification system in every smart city to identify the faces of criminals. The photos, DNA of criminal, and suspects will be there in the computer and it will be shared to other cities as well. When the face will be identified, an alert message will be sent to police station and then to the nearest one. This system will help to reduce the crime. 11. Data Centers – In this feature of smart cities, the information of the city will be stored in the data center. It will help to get all information about the city in one place. 12. Control Room – In the features of smart cities, there will be control room for crime, traffic, health, and services for improved coordination to offer immediate help to the people of the city. 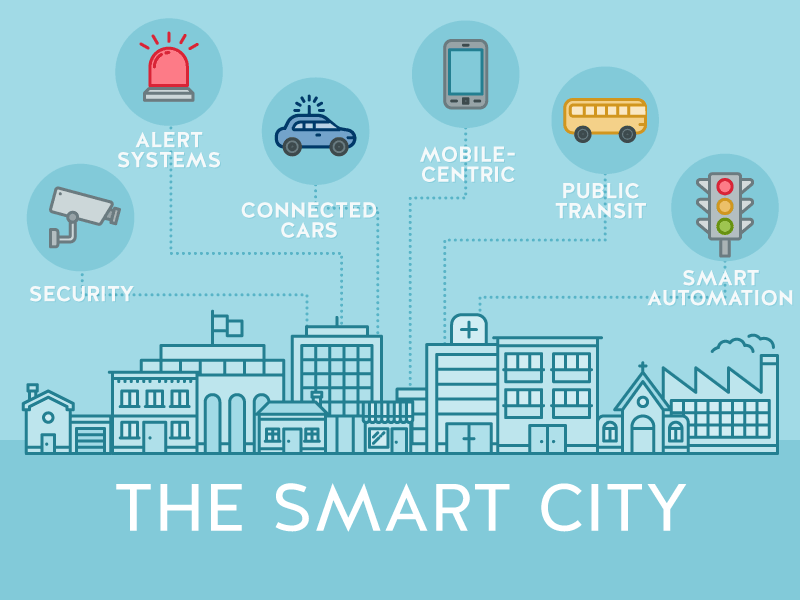 These are the key features of smart cities. Let’s make our city clean and crime free. The smart city project of 100 cities has started and all the presentation for it is already completed. India will be a country full of smart cities after some years!